On our way back around again. (Thank you). I started a new calendar on the wall, (a lot of us recently did I believe). 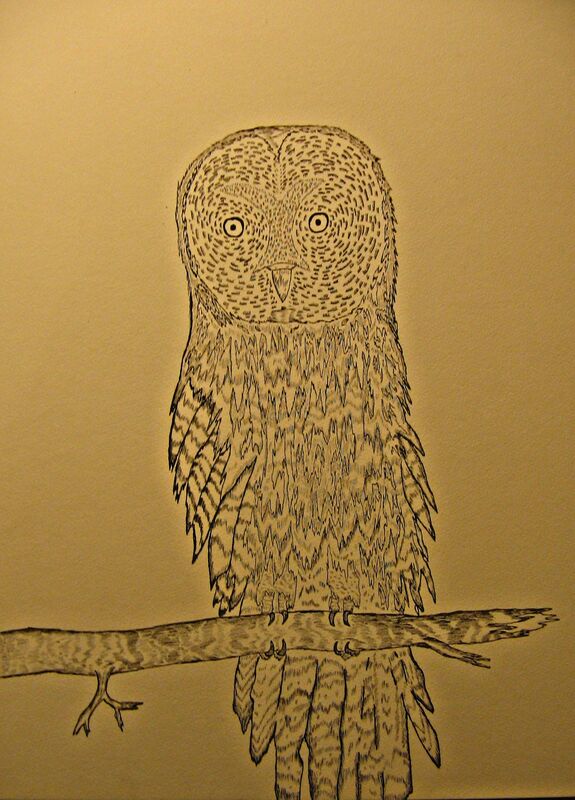 With that I’ve been upping my game with owls. One of the more difficult subjects for me to paint. These were so much fun, while frustrating. A project full of lessons and development. I am very grateful for another year here painting you birds and sharing the beauty of our planet the best way I can. Thank you for sharing this planet with me. You make it a home planet. 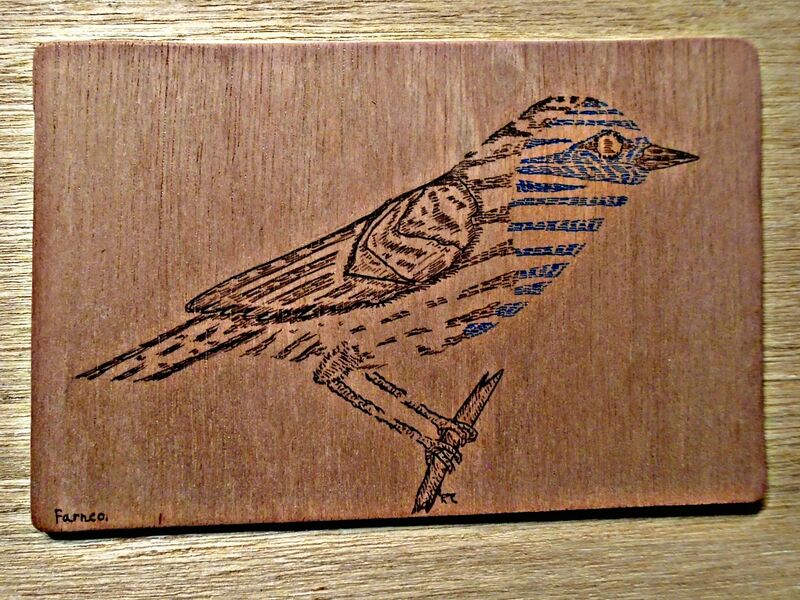 Scribing make-believe Warblers on scraps of wood from a larger project. It’s 1am and I probably had too much caffeine again. Not even a yawn yet so the pen stays close by and I navigate the late night with cartoons, music, and laughing at my own jokes. Another sleepless California winter night all dressed up with the perfect place to go. Looking for the shapes in an owl’s face. I put this together last night while taking an evening off from riding bikes into the hills. I wish I could tell you I got an owl to sit still for me. The two I saw tonight on my bike ride were heading silently away from me. I looked at some sketches I did of owls two years ago. I can tell you this much. 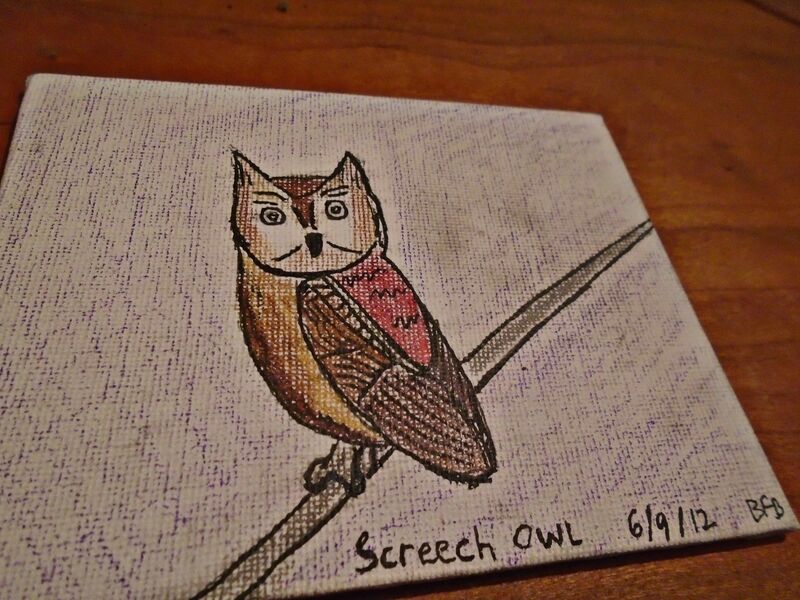 My sketches are starting to look less like cartoon cats with wings, and more like owls. I think that’s a good thing….right? Sitting on my chair again, a blank page at my disposal. It stands in place of the plywood of the previous project. My mind travels elsewhere. It travels out the window of my room. Pushing aside the screen. Down the vine tangled walkway under my windowsill. It drifts down the street, past all the parked cars. It drifts upward, narrowly missing the roof tops. It picks up a burst of speed and goes up, over California, above the West coast, Drifting out over across the Pacific Ocean. Higher into the stratosphere it climbs. Until above it is the black of space. There are no eagles flying where my mind is now. No air for one to breathe. Just my mind and maybe some space junk floating by. For all the air breathing creatures my mind likes to render I wonder how it stays safe up there, what does it pick up out there that it isn’t down here on a chair in an apartment in California? It goes there every time, and passes a lot of airplanes and birds on its way up. I wonder if she crossed paths with it when she caught the red eye out of LAX. I suppose its possible but, it’d be too dark out and I really don’t think she’d recognize it anyway. 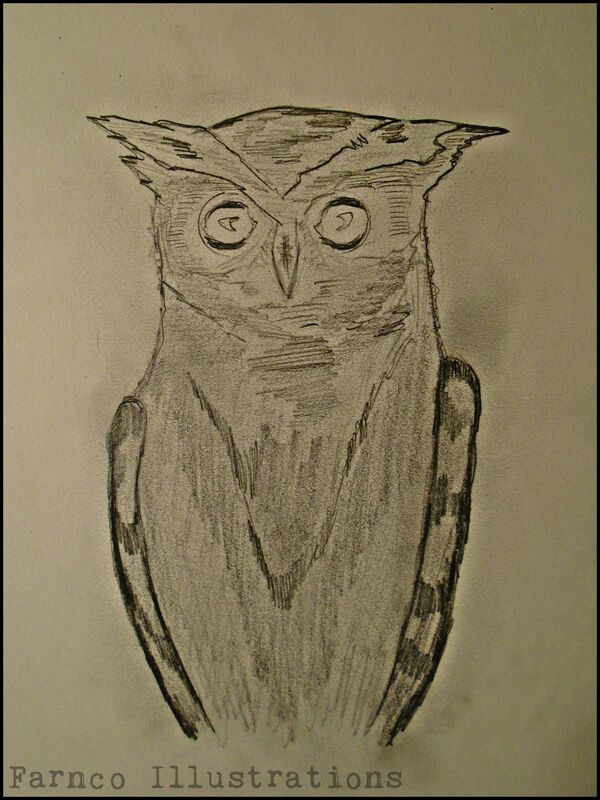 That owl I wanted to draw you. The Great Gray has been a front burner project for the last couple weeks. I sketched a couple dozen before I started this drawing. And just the same this bird seemed to assemble itself in front of me while my eyes watched, and pen went to work. There’s a depth to this drawing I haven’t seen in many of my others before. 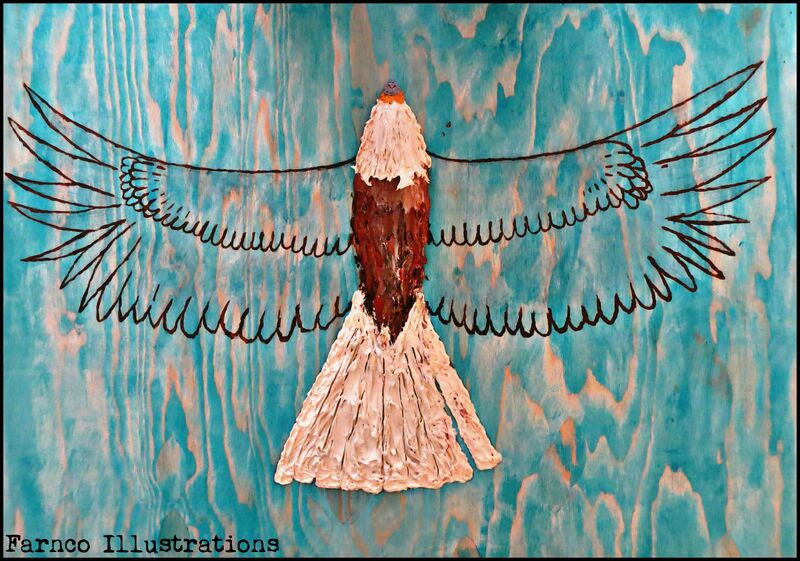 I tried to visualize every feather and bring them all together one at a time. While this is proven to be quite time consuming, it pushes me deeper in love with the process.